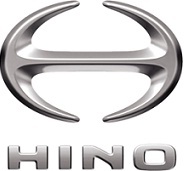 PT Hino Motors Manufacturing Indonesia, Managed by professional people who share the same vision in bringing HINO to become the market leader. Their experience has molded them to become one solid wisdom and to serve the customer the best. They carry this wisdom all through in managing the company. Translating and interpreting from Japanese to Indonesian and vice versa. Supporting administration department in preparing internal documents. Helping company in creating good work environment. Male/Female, max 33 years old. Required skill(s): Japanese Proficiency N-III, have good ability in Japanese on speaking, writing and listening minimum level 3. Candidate must possess at least a Diploma's Degree in Engineering (Mechanical), Engineering (Mechatronic/Electromechanical), Linguistics/Languages or equivalent. Preferably Staff (non-management & non-supervisor)s specializing in Journalist/Editor or equivalent. Job role in Translator or equivalent. Have good logic thinking, interpersonal skill, good discipline and communication. Self motivated, honest, smart, cooperative and hard worker. Able to perform well in team and work under pressure situation. Familiar with technical terms in automotive factory. Willing to work in Purwakarta, West Java. A competitive salary and benefit package will be offered to the successful candidate commensurate to the qualifications, experiences and expertise. Please submit your application letter, CV, recent colored photograph and supporting documents. Only short-listed candidates will be invited via e-mail/phone for Test and Interview. Company Address: Kawasan Kota Bukit Indah Jl Damar Blok D1 No.1 Purwakarta 41181.